French EDM act DJ Snake premiered the music video for "Let Me Love You" on Nov. 29. A couple plays Bonnie and Clyde in the new clip. "Let Me Love You" is the third single from DJ Snake's Encore album. He teams up with Canadian pop star Justin Bieber on the dance track. DJ Snake supplies the Biebs with pulsating synths and a slithering drop that backs the singer's loving lyrics. "Don't you give up, na, na, na / I won't give up, na, na, na," he croons. The duo definitely does not let up on this mesmerizing monster hit. 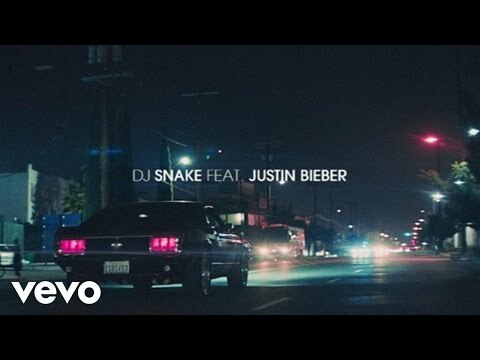 The music video for "Let Me Love You" is sans DJ Snake and Bieber. The dark clip instead stars a couple living a Bonnie and Clyde kind of lifestyle. When they are not getting cozy, the couple is robbing places and basking in the glory of their loot. One of the heists see the guy and girl battling some glowing cops. It's later revealed that the couple is part of a "Grand Theft Auto"-like video game. If a Rated A for "Awesome" existed, this video would get it. "Let Me Love You" featuring Bieber is now available on iTunes and Apple Music alongside DJ Snake's full Encore album. Their collaboration currently sits within the top 10 of the Billboard Hot 100 chart.